The thrilling sequel to the Texas Bluebonnet Award-nominated Spirit Hunters! 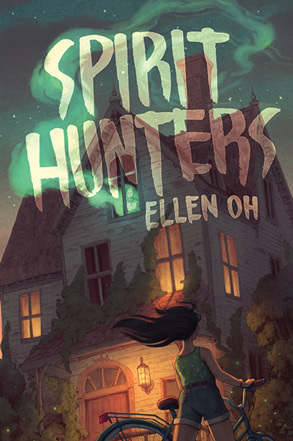 We Need Diverse Books founder Ellen Oh delivers the next haunting tale in her acclaimed middle grade series Spirit Hunters, a mix of captivating mystery and chilling ghost story. The perfect spooky read for Halloween, this pulse-pounding adventure will leave you shocked at every twist. Harper Raine faces new challenges ahead when her parents take the whole family to a remote tropical island for vacation. 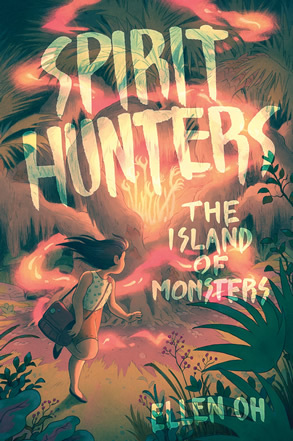 As Harper starts to have visions of the resort’s history of disappearances and discovers more about the island’s dark and fabled past, she must use her newly acquired spirit hunting talents to save everyone on the island from murderous spirits on the attack. An exciting and spooky middle grade series, perfect for Halloween reads. Harper Raine doesn’t like her new house from the moment she steps inside. It makes her skin crawl and her hair stand on end. There’s an energy to the house that just doesn’t feel right…. There are rumors that the Raine family’s new house is haunted. Unexplainable events and tragedy seem to have befallen every family who’s lived there before. Harper isn’t sure she believes those rumors until her younger brother, Michael, starts acting strangely. The whole atmosphere gives Harper a sense of déjà vu, but she can’t remember why. Harper knows that the memories she’s blocking will help make sense of her brother’s behavior and the strange and dangerous sensations she feels in the house, but will she be able to put the pieces together in time? Whether it is basketball dreams, family fiascos, first crushes, or new neighborhoods, this bold anthology—written by the best children’s authors—celebrates the uniqueness and universality in all of us. 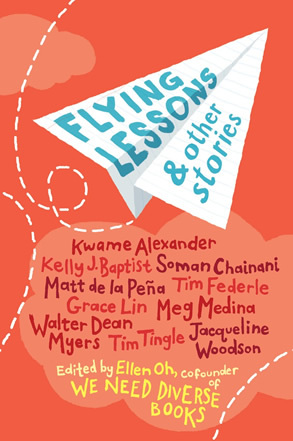 In a partnership with We Need Diverse Books, industry giants Kwame Alexander, Soman Chainani, Matt de la Peña, Tim Federle, Grace Lin, Meg Medina, Walter Dean Myers, Tim Tingle, and Jacqueline Woodson join newcomer Kelly J. Baptist in a story collection that is as humorous as it is heartfelt. This impressive group of authors has earned among them every major award in children’s publishing and popularity as New York Times bestsellers. From these distinguished authors come ten distinct and vibrant stories. Washington Post – We need diverse books,’ they said. And now a group’s dream is coming to fruition.